A gift from a catholic relative in the US who intends to vote right wing populist this go’round (i.e., Trump). Text attempts to cast the current pope in the tradition of St. Francis and St. Ignatius. Fair to say perhaps a bit too illiberal and propagandistic for me. Odd, also, that a person sufficiently lumpenized to consider right wing populism is also a fan of this particular Jesuit. But, then, who can know the mind of the lumpenized? Well...I thought this book was going to be all about Pope Francis except for like three chapters..though I will say I did learn a few things. I really liked the Pope Francis at the beginning when he first became Pope Francis, his comments about Climate Change and Capitalism turned this Catholic off somewhat. After reading this book Im beginning understand why he did some of the things he did. 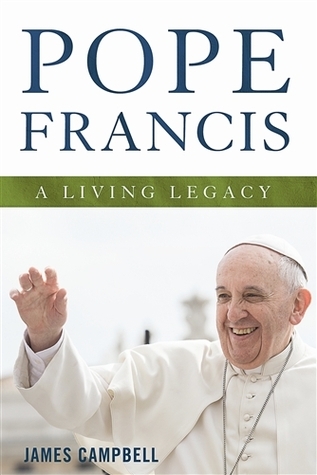 Even though this book isn't all about Pope Francis it does give some insight to him. Recommend for Catholics! Had to read for a school book club. I was excited to be reading a book about a pope who is destined to make a difference. I was very disappointed to find out more than half the book was not about him. Although the information was good - it was definitely not what I expected. And a little hard to get through. A great read about three of Christian's greatest, Saint Francis, Saint Ignatius and Pope Francis. Each one has shown us that we should live for each other not for ourselves. We should help those in need and struggling. Both Francis and Ignatius have helped Pope Francis develop the spiritual guidance for the people of the 21st century. Easy to read that kept me interested.